Those that know me well, understand how much I love the Christmas Holidays. Last year, I didn’t get to enjoy the season as much as I had hoped. But this year, I have been getting into the spirit far earlier and have enjoyed the wonderful opportunity of reading this really awesome anthology of Christmas Romance stories from some very special women! 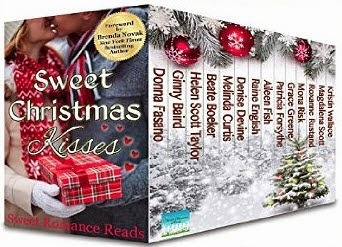 Sweet Christmas Kisses: 14 Sweet Christmas Romances is just that. “Sweet” indeed! I think “amazing”, “honest”, “true life”, “heart warming” and “love swept” are just a few of the more apropos words that describe these 14 short stories. Each of them are uniquely different, but yet intrinsically similar by evoking the true spirit of the holiday wrapped in an abundance of love. With so many to read, you probably won’t need to pick up another holiday book for the rest of year! The best part of reading this anthology is that it includes some of my favorite authors and also introduces some new ones that I have not read before. Now that I have, I want to read more of their other works! Seriously though, collections such as this are a great way to taste a flavor of writing styles from a variety of authors to help hone your own personal taste in books. Where have all the visitors gone?